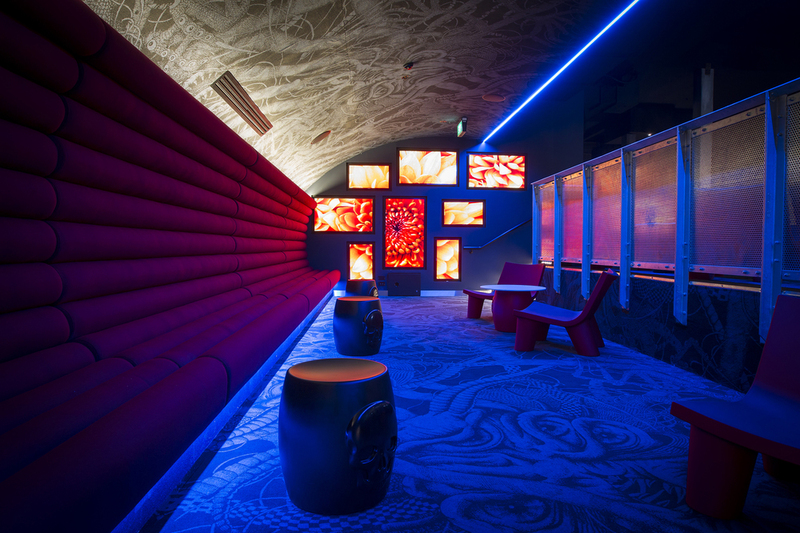 Tasked with reinvigorating a tired 1980s cinema complex in central Hamilton, Ignite created a one-of-a-kind cinema experience to surprise and delight all that enter. How do you entice pedestrians up to a first-floor space that is virtually obscured from view? Ignite’s design team created an innovative subway-themed concept that solved the challenge and turned a dated development into an exciting, modern complex. Hoyts had a clear vision for the theatre. They wanted to provide an edgy experience for their target market of 18-35-year-old inner-city dwellers. At the heart of the brief was the desire to surprise and delight the customer. Working in collaboration with Matthew Jefferies of Urban Detail, Ignite developed an industrial subway system concept that resulted in a total transformation for the complex. Rather than remaining in obscurity on the first floor, the cinema was redesigned to capture the attention of passers-by. The ground-level entrance was remodelled to mimic a subway tunnel, complete with an LED-lit stairway. The industrial ‘subway’ look creates an exciting sense of arrival, and is carried through every aspect of the large foyer space. The result is an experience that gives cinema-goers an escape from reality, both on and off screen. Aware that large numbers of people would use the complex each day, Ignite ensured all design concepts not only looked good, but alleviated bottle necks as well. Ticket counters, food outlets and lounge spaces all provide for ample space and ease of traffic flow. With a focus on reinventing and reinvigorating, Ignite set about reclaiming existing spaces for the busy cinema complex. By claiming back areas under the cinema bleachers, additional cinema lobby space was created, allowing for an elongated Chill Out Zone. Playing with the subway design concept, Ignite has given customers total immersion in the theme. Suspended metal chain mesh ceiling features, metal cage balustrading, faux riveted metal wall panels and raw metal bulkhead lighting all reinforce the industrial concept. Within the cinema rooms, the melding of design and functionality continues. Housing the latest digital viewing technology, the cinemas also offer improved sight lines and acoustic performance.